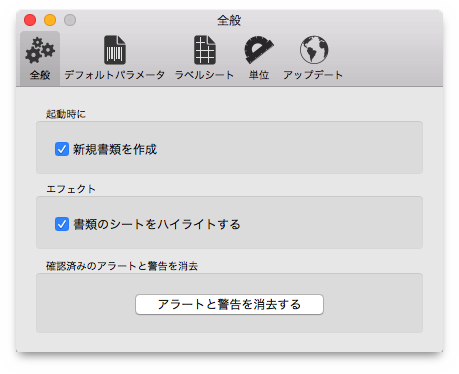 You should adjust these preferences so that バーコード君 best suits your needs. In this section you can preset all of the important parameters for barcode creation. 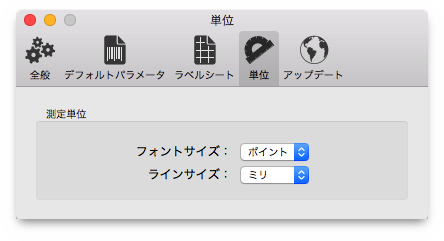 If you want to change the default font face, you have to firstly open the system fonts palette. Therefore, choose the menu item View > Show Fonts . Then you can choose another font face for the selected barcode type in the fonts palette. ヒント: If you want to produce e.g. catalogs with barcodes generally in CMYK, we recommend that you define the barcode color basically as a CMYK color here. After a click on the color field behind Barcode Color , the system palette Colors from Mac OS X is shown. 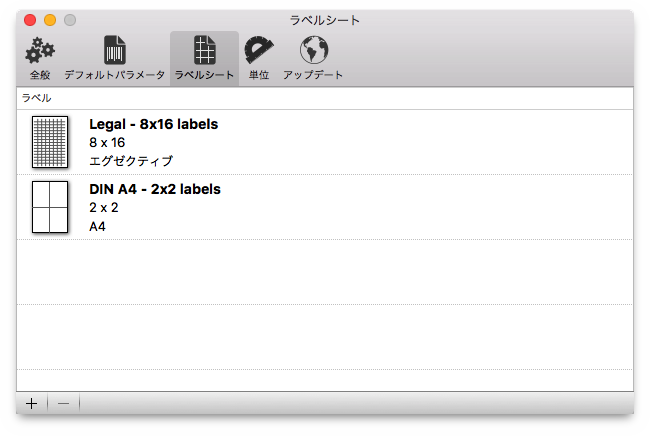 Choose the second group named Color Sliders in its toolbar. Then you can choose, from the pop-up menu below, which color model you want to use. 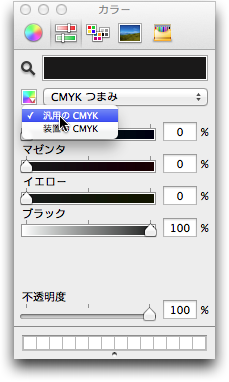 Don't forget to choose an adequate CMYK color profile from its menu. This can be accessed with a click on the tiny symbol in front of the color model pop-up menu. Here you define your preferred label sheets for print output. 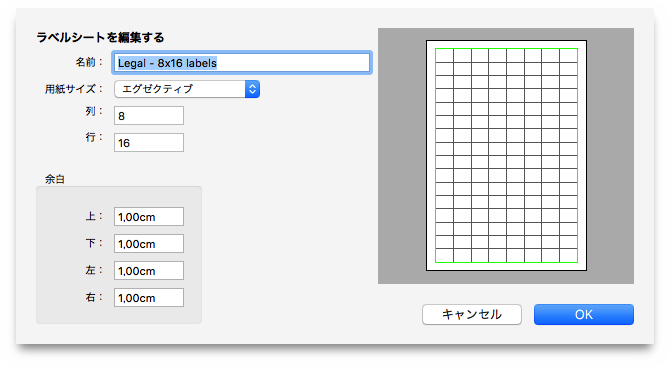 You can select from a wide range of different page formats, and set up multiple rows and columns for your labels. Here you select your preferred measurement units for fonts and lines. 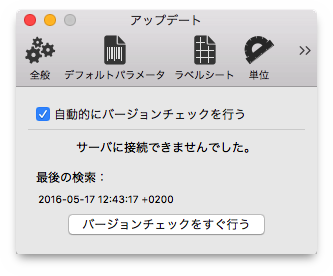 バーコード君 can check automatically or manually on program launch, to ascertain if there are updates available for バーコード君 or バーコード君 plug-ins.